FirstPost.com (India) – A day after England’s capitulation to Scotland the Daily Telegraph Newspaper in Australia ran the headline ‘We’ve had a ball tampering saga, lost our captain and VC, but at least we didn’t lose to Scotland’. A day after England’s capitulation to Scotland the Daily Telegraph Newspaper in Australia ran the headline ‘We’ve had a ball tampering saga, lost our captain and VC, but at least we didn’t lose to Scotland’. 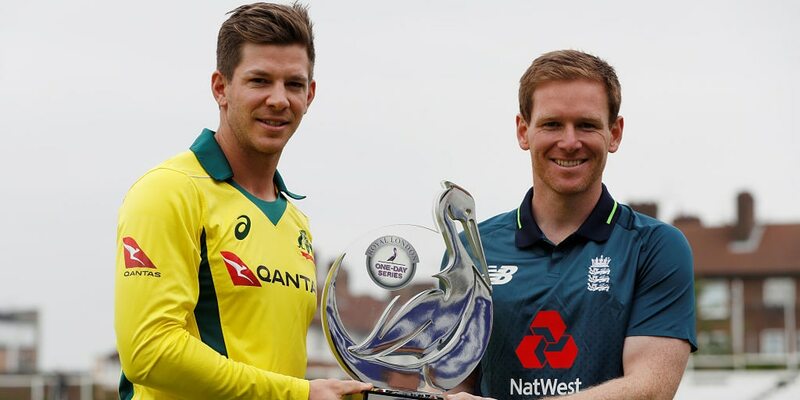 The five-match ODI series between England and Australia starting on Wednesday might not have the same relevance as the Ashes, but there is still a feeling of tension as well as anticipation. England will be wary of Australia trying to implement a new image and in all likelihood push them towards the infamous ‘line’ and tempt them to cross it. Smith might not be around during the series, but with flat pitches expected throughout the five ODI’s, there is pressure on the new coach Justin Langer to script a game plan that almost mirrors England’s crash and bang approach from the outset, rather than the traditional approach of conserving wickets at the start and then accelerating at the end. For England, it is golden opportunity to keep Australian cricket in the doldrums and at the same time continue to evolve as an ODI unit.